Learn about the history of calligraphy, while experimenting with various techniques. Cocktails included! 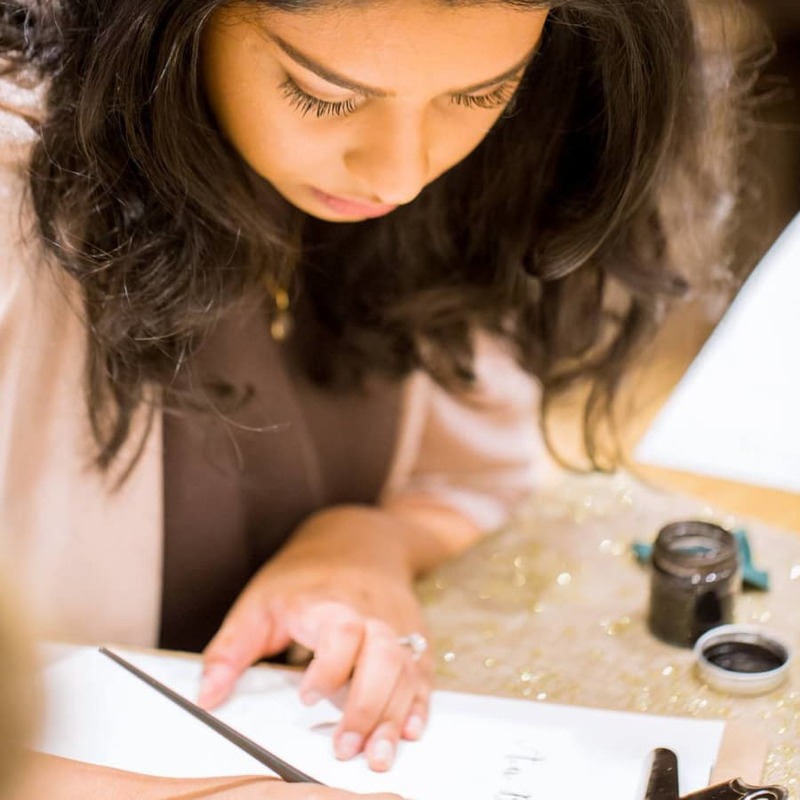 In this fun class you will be introduced to the basics of calligraphy, while socialising with fellow beginners! 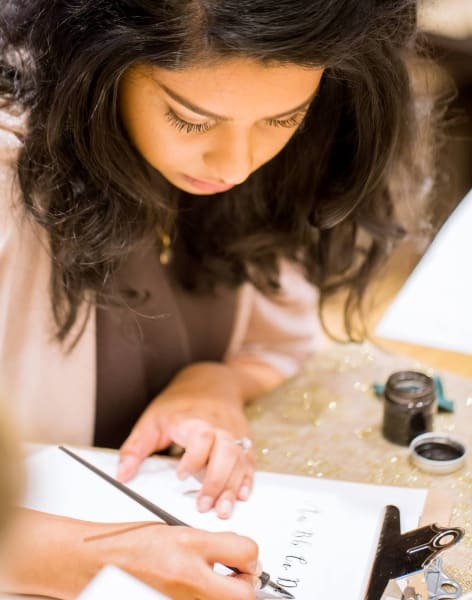 We have a beautiful studio in the heart of Dulwich, and calligraphy is the perfect activity for a discerning hen's party or birthday outing. Stages of the Class 1) An introduction and warm up, to experiment with various brushstrokes 2) Practicing uppercase and lowercase alphabet 3) Freehand sentences, where you will construct a short phrase. Please choose your wording prior to the workshop! Two cocktails are included in the ticket price. However Jim, our in-house barman, will be at your disposal should you wish to purchase more! Ink, brushes and all paper will be provided for you on the day! Please note as well that there will also be the option of purchasing your own tools for future use.